Throughout the year, eighth graders have been working on their purpose projects, exploring ways they can impact their surrounding communities. During the past week, students have been working with entrepreneurs and founders of start-ups to hear firsthand what it takes to run a company. 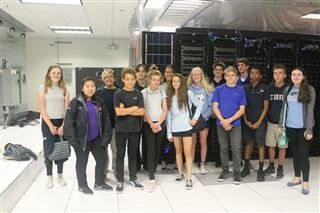 Students have visited UCSD, the Qualcomm Institute, co-working spaces, Red Door Interactive and more, experiencing cutting-edge technology each day of the week.